Note: The Gitzo GT3541LS 6x Carbon Fiber Tripod has been replaced by the Gitzo GT3542LS Systematic Carbon Fiber Tripod. All of Gitzo's 3-Series Carbon Fiber tripods are great, including the Gitzo GT3530LS Carbon Fiber Tripod I have been using for a long time. I picked up the Gitzo GT3541LS 6x Carbon Fiber Tripod specifically for its more compact retracted size. Adding a fourth leg section (the "4" in the model number) allows the tripod to take up less space while retaining nearly the same extended height as the 3-leg section 3530 models. Here is a table comparing the Gitzo GT3541LS 6x Carbon Fiber Tripod to the GT3035LS. There are some minor differences in the specs between the two tripods, but the 5.7" (12cm) difference in retracted height makes a big difference when you are boarding an airplane. 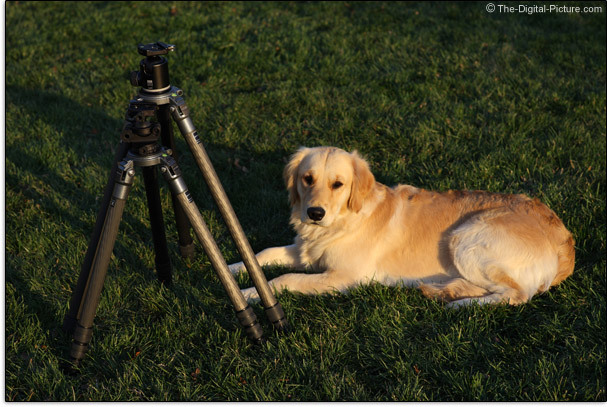 The three-leg section tripod is faster to set up - three fewer leg lock adjustments are needed for full-height use. Otherwise, the two tripods are nearly identical. Both are rock solid (even with the fourth leg section extended) and very reliable. Both can be completely disassembled (to remove sand in the locking threads for example). The Gitzo GT3541LS 6x Carbon Fiber Tripod is shown in front of the GT3530LS in the above photo. 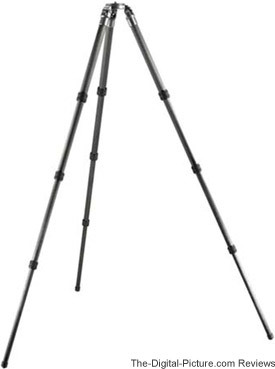 I'll refer you to the Gitzo GT3530LS Carbon Fiber Tripod Review for more complete information. I heartily recommend the Gitzo GT3541LS 6x Carbon Fiber Tripod.